« The Dancer & the Serpent (Witchcraft, Cyborgs & Forms of Resistance). 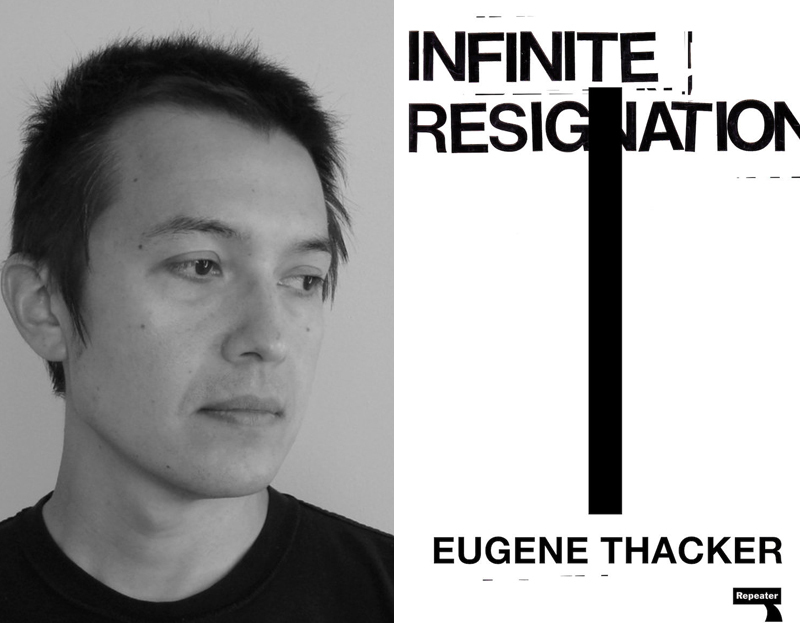 Eugene Thacker will speak about his latest book, Infinite Resignation. The book traces the contours of pessimism, caught as it often is between a philosophical position and a bad attitude. Reflecting on the universe’s “looming abyss of indifference,” Thacker explores the pessimism of a range of philosophers, from the well-known (Nietzsche, Schopenhauer, Camus), to the lesser-known (E.M. Cioran, Lev Shestov, Miguel de Unamuno). Readers will find food for thought in Thacker’s handling of a range of themes in Christianity and Buddhism, as well as his engagement with literary figures (from Dostoevsky to Thomas Bernhard, Osamu Dazai, and Fernando Pessoa), whose pessimism about the world both inspires and depresses Thacker.